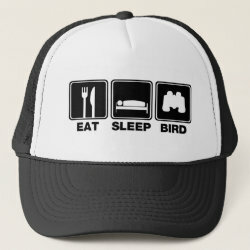 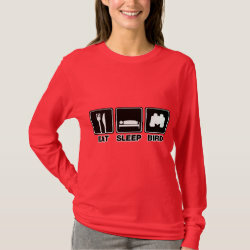 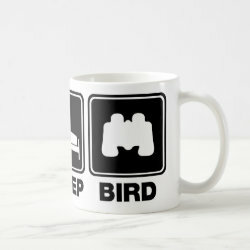 This design shows three vital components to any birder's life. 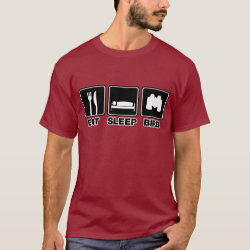 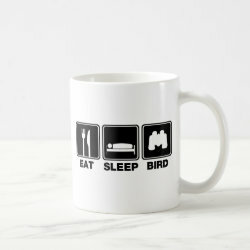 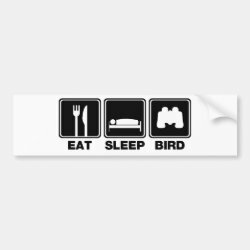 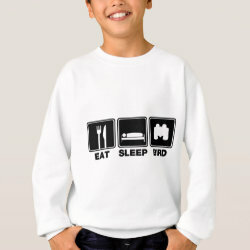 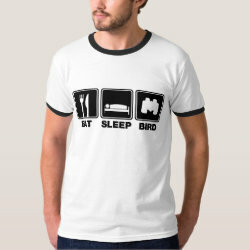 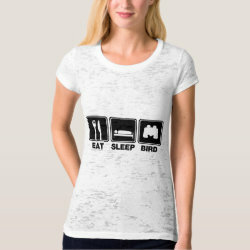 Eat is represented by a knife and fork; sleep has a white on black sleeping More... person silhouette, and finally, bird is represented by a pair of binoculars. 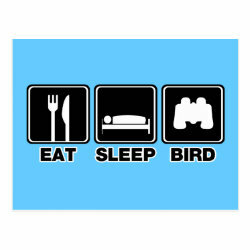 If your days go by and the major events are EAT, SLEEP, and BIRD, this fun icon design is made just for you!